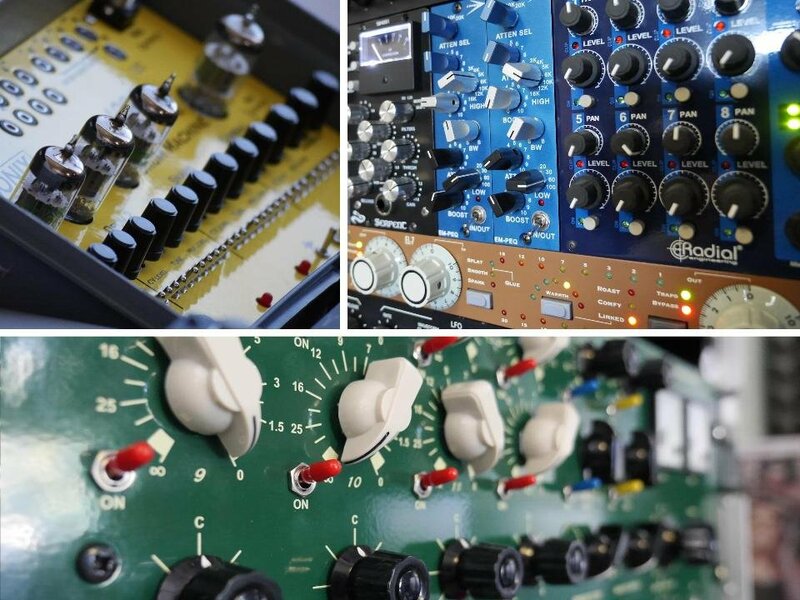 The array of machines Goldbaby used for this Pack would excite any analog gear enthusiast. Recording everything through the legendary Neve 1073 mic preamp, fed through a Fat Bustard II valve mixer, Goldbaby provide maximum audio quality for this Pack’s selection of distinctive sounds. Among many others, this includes the characteristic clicking claves, popping toms, and bright cymbal timbres of the Roland CR-8000 and the hissy, overdriven vacuum tubes of the Metasonix D-1000. Also on board: the Andromeda Space Rockers – unassumingly small, hand-built PCBs that bring surprisingly fat kicks and crunchy snares to the mix. 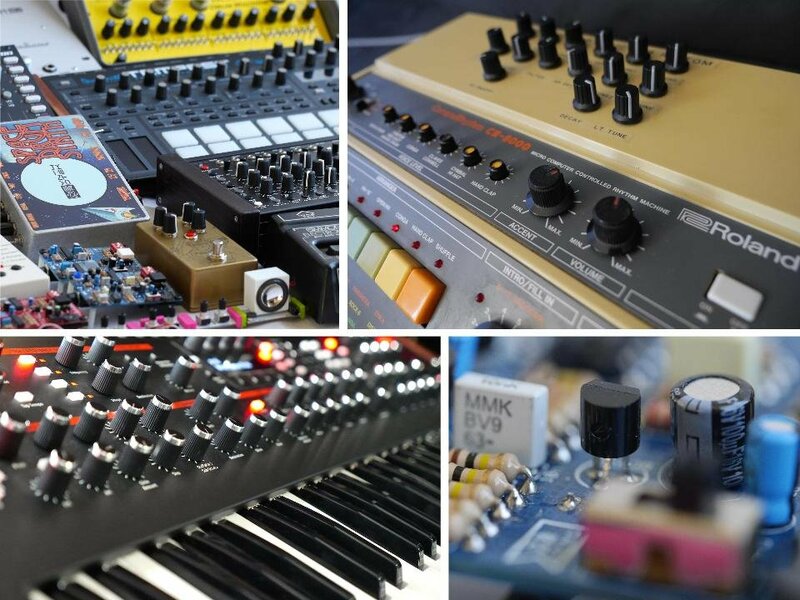 In addition to the drum and percussion sounds, synths such as the DSI Prophet 12 and the Vermona PERfourMER were used and abused to create a variety of crackles, robotic voices, pulsating drones, sirens, clicks and other special effects. Use these, along with the included layering tools, to beef up kicks, add sizzle to snares and bring playful accents to your beats. Many of the drum hits have multiple velocity layers, adding an expressive playability to the 35 drum kits included. Most of the kicks and congas are tuned, so you can easily swap them out. In addition, a large number of samples in this Pack are not used in the preset drum kits, giving you plenty of extra sounds to customize the existing preset kits, or create your own.